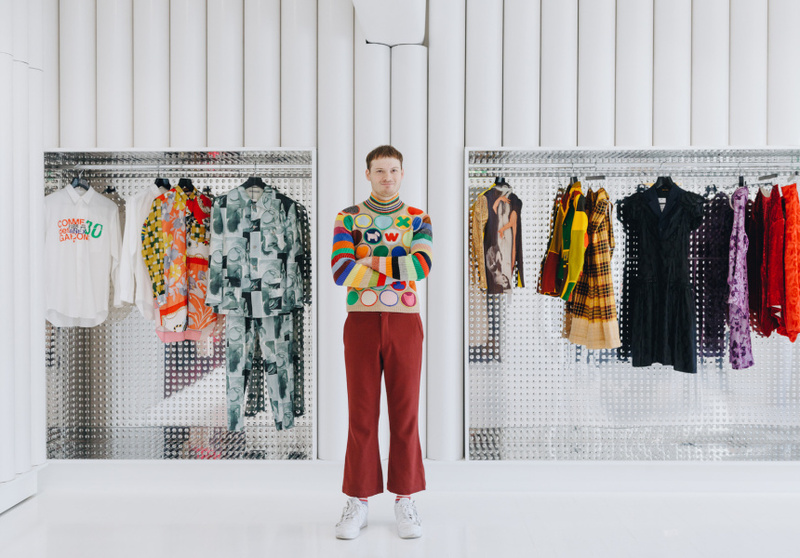 Dot Comme’s second boutique brings collector Octavius La Rosa’s 1500-strong online archive of high-fashion garments to a futuristic gallery-like boutique in Curtin House. 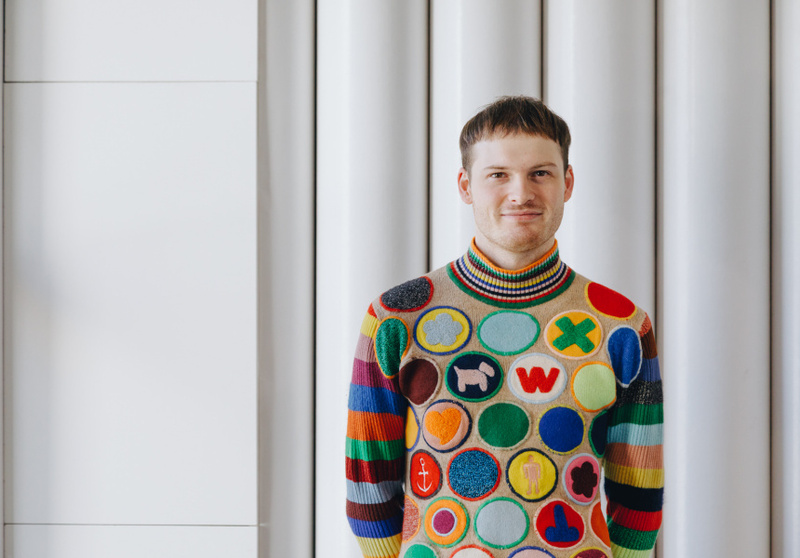 Octavius ‘Otto’ La Rosa has been collecting designs by Comme des Garçons, Yohji Yamamoto, Issey Miyake and Walter Van Beirendonck for more than ten years. 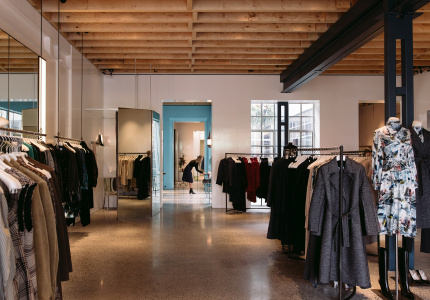 To help showcase his singular fashion trove, the founder and owner of archival clothing store dot COMME has opened a second boutique, dot Comme Collection, a floor above the original store in Curtin House. La Rosa has collaborated with his Curtin House neighbour, Sibling Architecture, on the impressive, futurist fit-out. Minimalist fixtures, reflective surfaces – including the high-gloss floor – and stark white walls and ceiling, mean your eye is drawn straight to the clothes. They’ll then quickly land on other theatrical objects and embellishments around the room, such as striking tube-lined walls, La Rosa’s own surrealist furniture (by architect and designer Gaetano Pesce) and a candy-coloured light fitting by Memphis Milano. “The brief to Sibling Architecture was for a gallery and they chose to take the approach of an understated space that would let the designs shine,” says La Rosa. 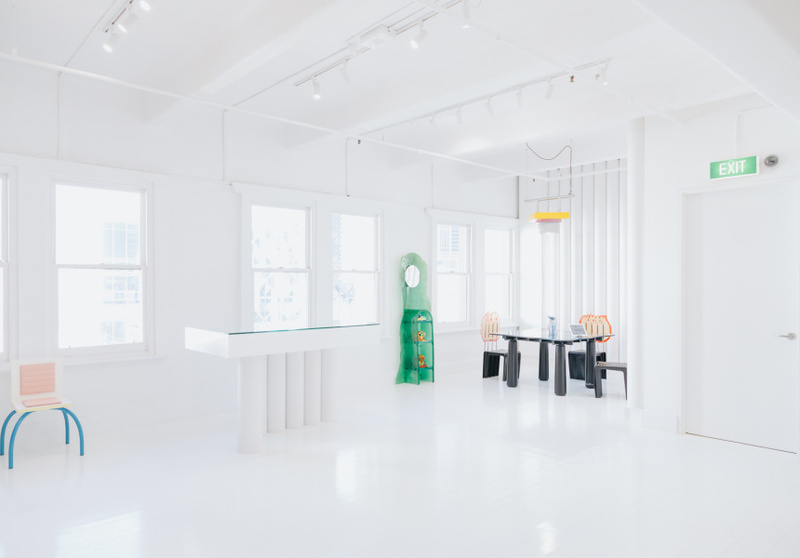 “I have always admired Sibling’s projects and wanted to work with an architecture firm that is playful yet sophisticated.” La Rosa also plans to use the space for small exhibitions going forward. “My focus is not on trends, but the history and importance of archiving and documenting… these pioneering designers,” he says.